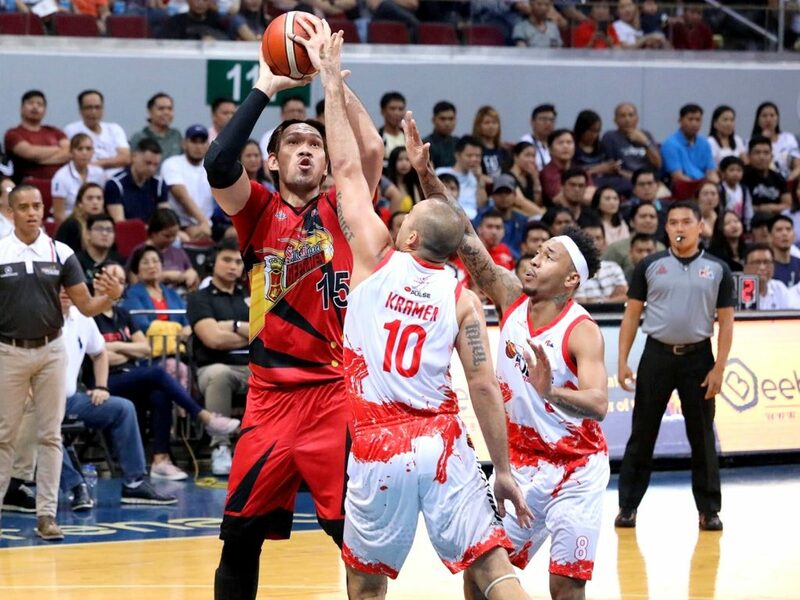 The San Miguel Beermen displayed their playoff experience in a 100-88 take down of the Phoenix Pulse Fuel Masters in Game 1 of their 2019 Honda PBA Philippine Cup semifinal series over the weekend at the SM Mall of Asia Arena in Pasay City. Alex Cabagnot led the win with 26 points, five rebounds, and seven assists; while Marcio Lassiter and Chris Ross each added 14 markers. Phoenix started strong with a 27-21 lead after the first 12 minutes but the Beermen went on a run early in the second and tying the game 29-all on back-to-back treys by Terrence Romeo and Von Pessumal. The Beermen were in control from then on, taking a 35-31 edge on inside hits from June Mar Fajardo. They went on to widen their lead further to a 49-39 halftime advantage with baskets from Arwind Santos, Cabagnot, and Christian Standhardinger. The Beermen created even further distance in the third, pulling ahead by as much as 24 points after Cabagnot, Lassiter, and Santos were waxing hot with outside conversions.